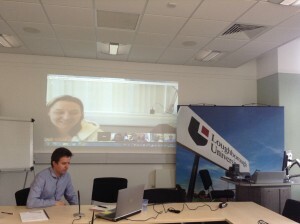 A colleague and I took part in a Google Hangout session yesterday with six other people from other institutions. 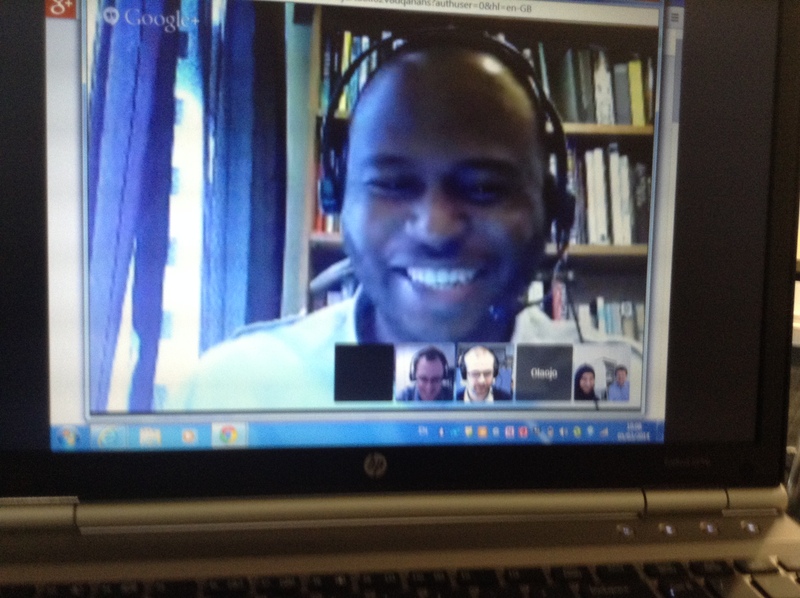 Google Hangout is a video chat tool. I was a bit weary about using this at first because a) I’ve never used it before, and b) there were 10 people expected at this virtual meeting so I wasn’t sure how this would be controlled. 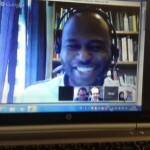 In the past, when I have taken part in virtual gatherings, it has gone one of two ways; either one or two members predominantly speak for the duration of the session or second, everyone is talking over one another and it just turns into a bit of a mess. Fortunately, though, this session worked really well. The sound quality was excellent, as was the video. We didn’t experience any latency issues with sound (despite the fact we were using wifi) whereas this has been an issue with specific web conferencing tools such as Blackboard Collaborate we have used in the past. Everyone got an opportunity to speak, and there was a common understanding of virtual meeting protocols which kept things in order (this may be because we are all in a Learning Technologist or similar kind of role). We quickly realised the importance of the need to mute, or unmute, when you are not talking (talking), otherwise you will be distracted by the constant video change when sound is picked up from another mic. Aside from conducting virtual meetings via Google Hangouts, and using it privately with friends and family, you can join other publicly accessible Hangouts ranging from Language Practice Hangouts to paid-for hangouts offering live cooking classes! Which video chat facility do you like to use with your colleagues and/or students? Please let me know below. Essentially, if the iPad user changes their iPad profile during a marking session, they will lose the data already marked, because the iPad thinks it belongs to somebody else. The data cannot be recovered. Rob’s advice – to make sure you sync the data often, particularly at the start of a session – seems sound. In parallel with the Tablets in Teaching project, we have also been evaluating various Android devices as alternatives to Apple iPads. With the advent of Android 4.2, it has been possible to wirelessly project an Android screen onto an HDMI display. By this we mean that anything on the mobile device’s display is replicated on the remote display. Whereas the Apple AirPlay solution requires access to an established network to function – with all the procedural problems that can entail – Miracasting sets up its own mini-network between the mobile device and the receiving dongle plugged into the remote display. 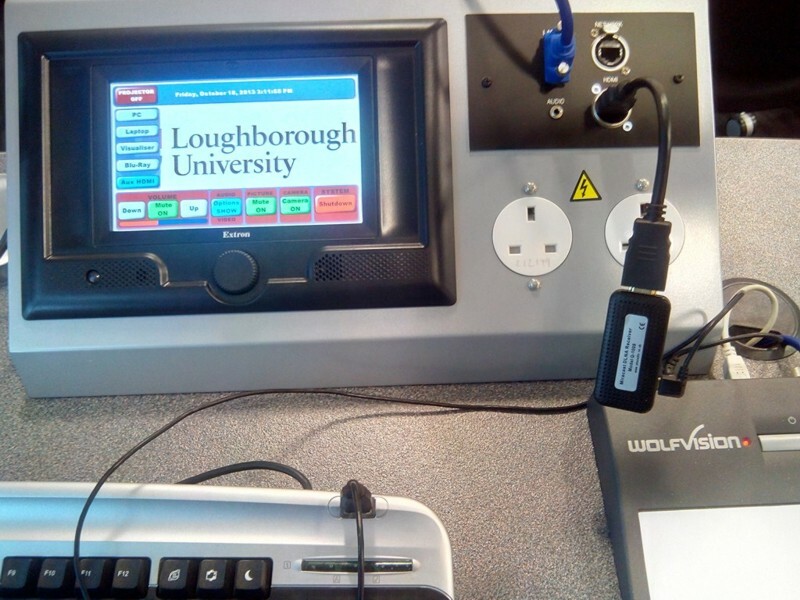 This is more hassle-free than AirPlay and is independent of the podium PC in a lecture theatre – modern podiums have an HDMI input socket which can be used if you don’t have direct access to the display’s connections. We tested two source devices and two receivers. Both sources worked well with both displays and were able to display wirelessly whilst running live BBC iPlayer over WiFi. However, the phone’s SIMs had to be turned off to force it to use WiFi, otherwise iPlayer slowed down to a crawl. We used the second source device to attempt to hi-jack the remote display. In no case did this succeed, so even if students have Miracast-equipped devices in the lecture, they may be able to see the receiver but not connect to it. We used a tablet and a smartphone, with each of the two receivers. The two receivers were a Phone2tv dongle (eBay, £32) and a Netgear Push2tv dongle (Amazon, £60). In both cases a USB connection is needed to provide power to the receiver and both had extension cables so that the dongle did not need to be physically attached to the display. Of the two, the Phone2tv receiver was slightly quicker to set up but the Netgear was slightly better at buffering the incoming data stream, so played with fewer jerky interruptions. Both devices carry audio as well as video. In use, the HDMI and USB connections are made and the Wireless Display settings used on the source device to initiate the connection. In the example shown, the Aux HDMI input has been selected to feed the graphics through to the data projector. The other sources – PC, Laptop, Visualizer and Blu-Ray player are still available and can be selected as usual. The wireless display link works up to at least 5 metres from the receiver, giving the presenter the freedom to move around and interact with the class. You may have heard that there is a new iPad app for using TurnItIn – including the GradeMark paperless marking tool – available for free from the App Store. This may be of interest to tutors who already have an iPad, and already use GradeMark. It probably isn’t a ‘killer App’ that by itself makes it worth rushing out and buying an iPad. A key advantage of the app is that you can download the whole class’ assignments to the iPad, and mark them offline, re-syncing when you are back in WiFi range, whereas with the PC version you need to be online all the time. Almost all of the functionality of the desktop version is available, and some iPad users may find this to be a convenient and quick way of getting marking done in circumstances where it may not otherwise be possible. The TurnItIn app can be added to all of the Tablets in Teaching iPads, but it will need personal credentials setting up before it can be used. There are no plans for an Android version. Setting up such an app with the proper security is always going to be complex, but once set up, the app works very slickly. • The app is set up by default for the US version of TurnItIn, and the iPad setting for the app needs to be changed to TurnItInUK before doing anything else. • Changes you make can be manually uploaded by re-syncing the iPad, or will automatically be sent if a WiFi connection is available. • It took 6 ¾ minutes to download 39 essays onto the iPad, so with large cohorts, allow plenty of time for the download. • If you select the ‘Unlink iPad from TurnItIn’ option, you not only log out of the system, but also delete all of the downloaded assignments. Useful if you are sharing an iPad (does anybody?) but a disaster otherwise. • Screen rotation (portrait/landscape) works in the normal way. Many screens will re-size using stretch/pinch, but some don’t. If you are already registered as a TurnItInUK user, you can log in with your email address and TurnItIn password. (Not sure if you’ve been registered already? Use the Retrieve Password link at http://www.submit.ac.uk . If you had a password, you are registered and can use the tool to set a new password. If you are not registered, it will tell you it has failed to find your details.). 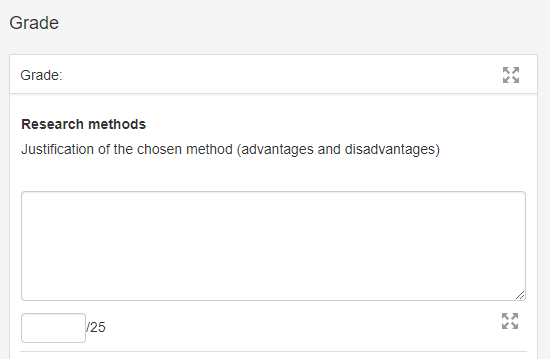 Once logged in, you will presented with a list of all your modules, from which you can pick the one with the assignment to be marked. 5. Once in the Document Viewer, look for a rectangular icon in the bottom left corner. Click the icon to get a 16-character access code for all of the student submissions for this assignment. 6. On the iPad, use this access code to display the submissions for this particular assignment. 7. Because the access code only works once, you’ll need to Sync all the submissions i.e. download them to the iPad, otherwise you’ll need a new access code when you resume marking. If an assignment has multiple markers, each marker will need to get their own access code, and sync the assignments that they have to mark. Have you ever set up lab sessions for students when there are many sessions but each student has to attend only one? You usually end up with one very busy session and a number of quiet ones. Some lecturers balance the numbers into groups (forcefully) and if someone complains then they deal with it. However, I realised that if you give choice to students they usually are free for more than one session. Then I can balance the lab load based on their availability. 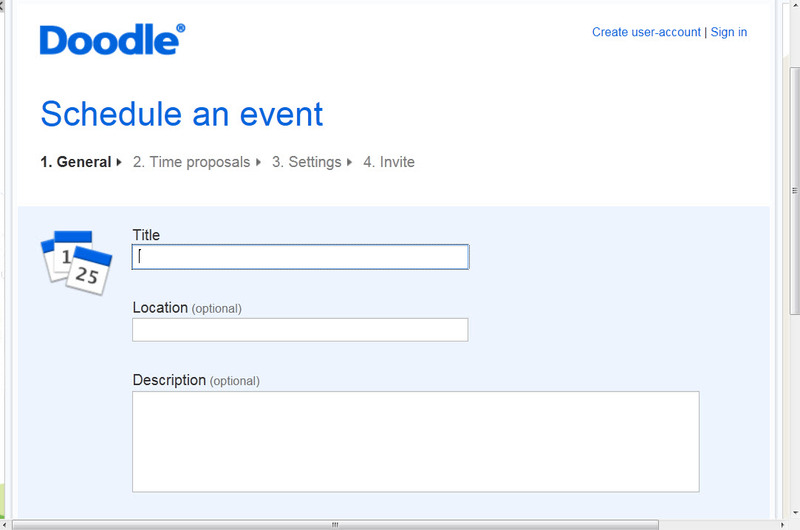 Doodle Scheduling http://www.doodle.com/ is exactly the tool for this sort of case and is free. 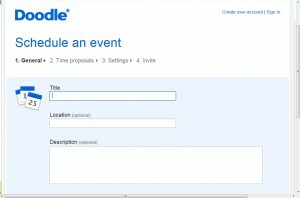 I have been using this for many years for arranging meetings and scheduling personal events. However I used it last term for balancing my lab sessions. Most students are familiar with this website and I had no problem collecting data and compiling my lab time table. Before using it, I checked with IT to see if there is any equivalent tool in the university, but there was none at the time. This is how it works – You arrange your available lab times in the columns of a table on the web and email the link to students. Students add their name and tick the time slots that they can attend. Then based on availability you distribute students equally within the lab sessions. It worked great for me in the last term. There are various other mechanisms that you could use for this purpose (including the Face-to-face activity in Learn / Moodle) but Doodle has the benefits of being simple, effective and familiar to many students. It is always a dilemma how to choose a student to answer a question while maintaining the fairness and equal opportunity to everyone, and also not making the student nervous. I have come across the “name randomiser” idea many years ago. The idea is to rotate through the students’ names on the screen and randomly stop at one name. This has been proved an ice breaker and a fun activity, while that chosen person has to answer the question. Students certainly like it. Back in the days when our lecture rooms didn’t have internet access, I use to use a simple VB program that did the job for me, but filling the student list was a problem. But these days, I use the following website, which is fun (with lots of interesting noises) to take pressure/stress off from the students. http://www.classtools.net/education-games-php/fruit_machine The advantage is that I can copy and paste the student list from my excel sheet very easily. Another one that I particularly like and used is http://primaryschoolict.com/random-name-selector/ . This one also allows running a timer for students to answer the question.